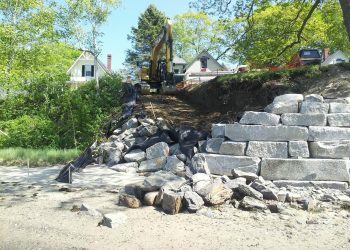 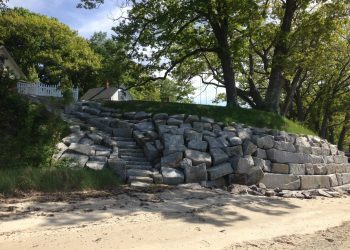 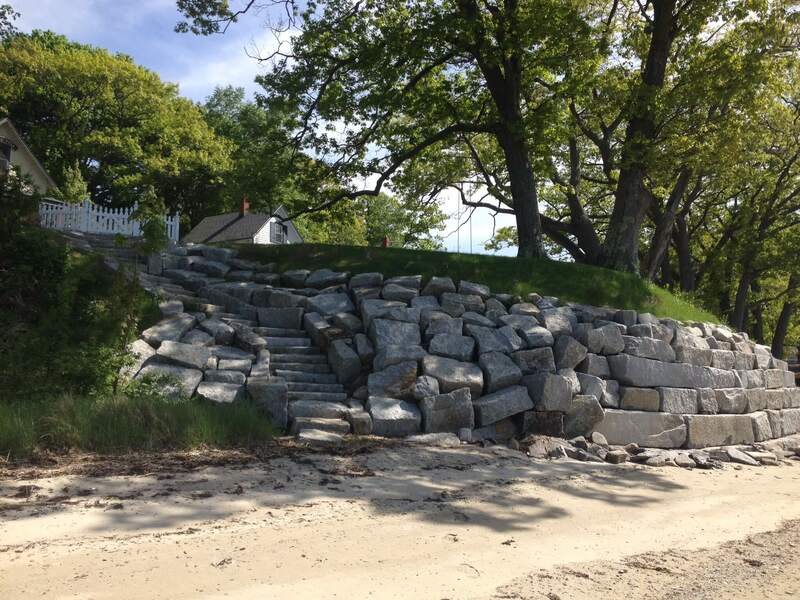 Work Scope Walsh Engineering Associates, Inc. developed shoreline stabilization plans and details in order to address extensive coastal erosion with minimal impact to the coastal environment and to preserve the natural beauty of the site. 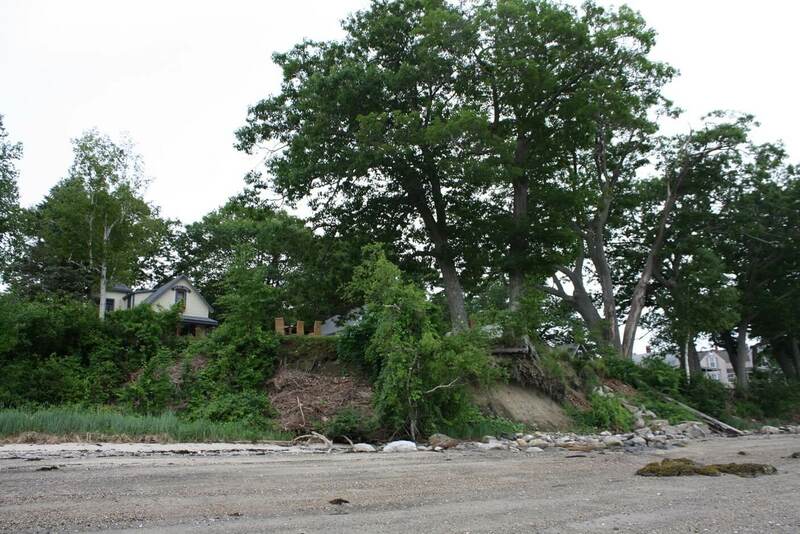 Under its eroded condition, a 36-inch historic oak tree hung in the balance. 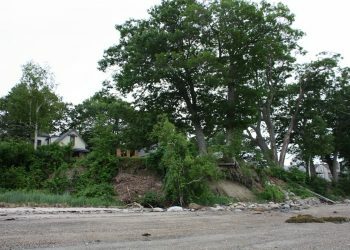 WEA developed a granite block WEA prepared and obtained local (City of Portland Level II Site Plan Review and Shoreland Zone Review) and state (Maine DEP Natural Resources Protection Act) permits for this project with an innovative design incorporating the restrictions of specific slope angle parameters while also allowing an historic oak tree to remain.